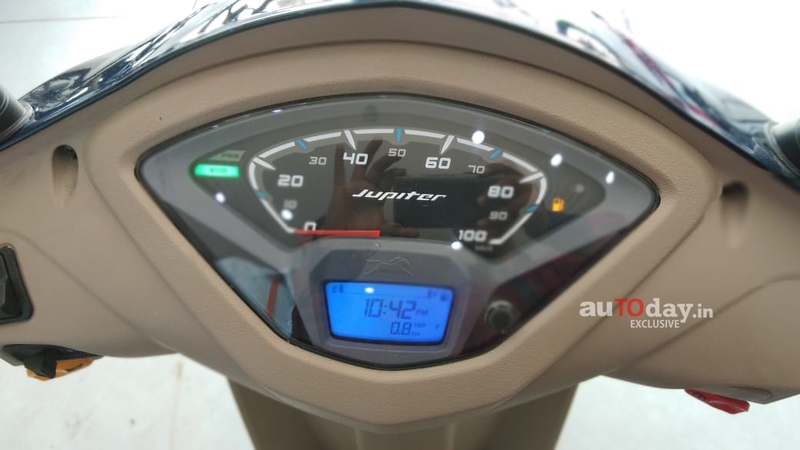 The TVS Jupiter Grande has been launched in India, and the scooter has started to arrive at the dealerships ahead of the festive season, as seen in these images shared on email by reader Ujjwal Saxena. In September 2018, the Jupiter Grande was previously spotted through spy images, which revealed the updates on the scooter. A dealership that we spoke to said that the drum brake powered variant will be priced at circa INR 55,936 while the front disc variant will be available for circa INR 59,648 - both prices are ex-showroom, Delhi. The scooter features a new Starlight Blue paint job that is complemented by beige panels and a maroon coloured seat. The saddle cover features a cross-stitched pattern that gives the scooter a more premium look. Behind the saddle is a body coloured pillion handle. The upgrades are more than just the new paint scheme. At the front, for example, the TVS Jupiter Grande gets a full LED headlight – an upgrade that its ace rival, the Honda Activa received in its latest iteration. The scooter also features a semi-digital instrument console that comes equipped with an analogue speedometer and a digital screen. The instrument console also features Econometer. Chrome bits further enhance the premium look of the scooter. The front fender gets a chrome garnish, a design element that was previously seen on the Jupiter Classic. The rear view mirrors, too, get chrome embellishment, giving them a dual-tone look. Other chrome bits include TVS logo on the apron, Jupiter branding on the side and the heat shield on the exhaust. Feature list also includes machines alloy wheels. Mechanical specifications remain identical to the standard TVS Jupiter, and the Grande edition continues to use the 109.7 cc single-cylinder, air-cooled, OHC engine that is tuned to deliver 8 bhp of maximum power at 7,500 rpm and 8 Nm of peak torque at 5,500 rpm. A conventional, telescopic fork at the front and a gas charged monoshock at the rear perform the suspension duties. Stopping power is provided by drum brakes on both ends as standard while the front disc will be available as an option. The scooter also gets the Sync Brake System. The optional accessories will also include underseat USB charging port. The new TVS Jupiter Grande features a full LED headlight and a semi-digital instrument console. 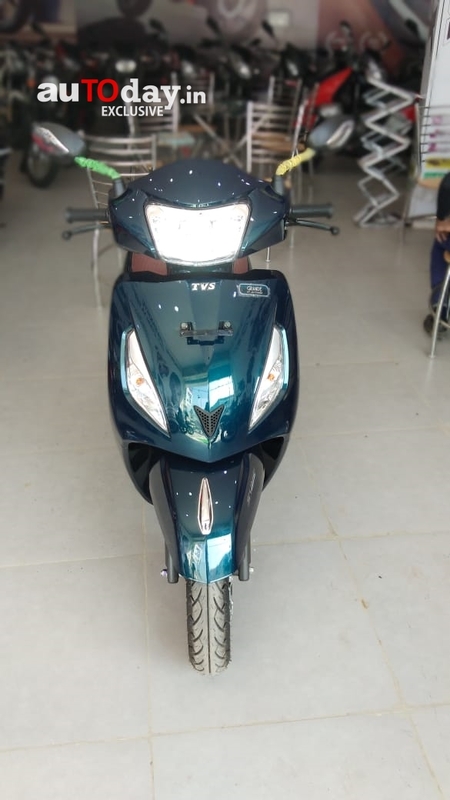 The scooter has been priced at INR 55,936 for the drum brake variant, and INR 59,648 for the front disc brake model – both ex-showroom, Delhi.